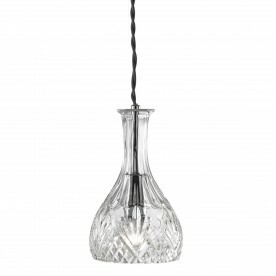 This Wine Bar Clear Rounded Decanter Cut Glass Pendant with Chrome Trim is sophisticated and traditional. 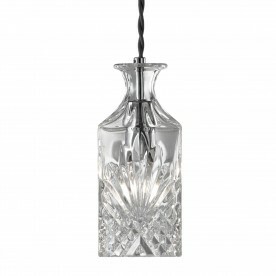 The shapely glass decanter shade has intricate detailing which refracts the light and makes it twinkle. 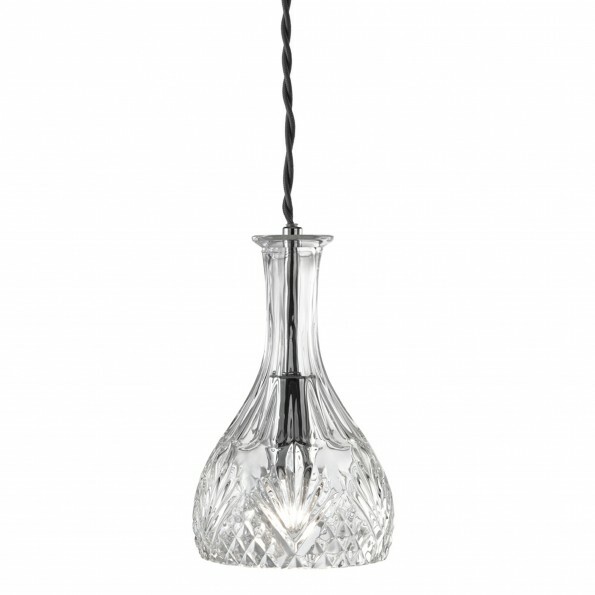 And it looks just as stylish in your home as it would in any fancy wine bar. The wire suspension is easily adjustable for different ceiling heights.